See previous protocol for the preparation of the purified chloroplasts. Continue to keep them ice cold until the moment you add them to the prepared tubes. Teams of two. a: 37C hot block (for 13×100 mm tubes) nearby and warmed up. b: 37C incubator warmed up. c: spectrophotometer on the same desk as the light exposure apparatus. d: 100 watt bulb with reflector 25 cm from open test tube rack. Construct a data table in your notebook to accept time course data (See below). Select and label seven cuvettes (or six very clean, unblemished 13 x 100 mm test tubes to serve as cuvettes) (B for blank + six tubes). Prepare DCIP reaction mix which should have an A600 of 0.400 to 0.600. Dispense 4 mL of the reaction mix to each of your tubes with repeater pipetter. Table for recording DCIP reduction A600 versus time of light exposure. Copy this table into your notebook prior to starting the chloroplast reduction experiment. Every blank square gets a reading. 6. Prewarm prepared tubes (lacking chloroplasts) in 37C hot block for 2 min. 7. Add diluted chloroplasts to tubes 3 and 5. Mix and read the A600 of 1, 3, and 5 against a water blank (= T0 for dark tubes). Place immediately in a 37C incubator, keep light excluded. 9. Add 10 uL of chloroplasts to tube 4, mix well, read A600, place in front of the light, and start the stopwatch. 10. Add 20 uL of chloroplasts to tube 6, read A600, place in front of the light, when the stopwatch reads 30 seconds. 10. At 15 minutes, read A600 of all tubes, including those which were kept in the dark. 11. Plot the absorbency of each tube versus time. •Discuss the significance of the differences between the various six curves. Grind 8 g deveined spinach with ½ tsp clean sharp sand in mortar and pestle to a paste. homogenate through about eight layers of clean cheese cloth in a glass funnel into an iced 16×150 mm test tube. Centrifuge at low speed: prepare a balance tube against the filtrate in a 16×150 tube and spin at 50x g for 10 minutes (speed 2 on the clinical centrifuge). Decant the top 10 mL into a clean cold centrifuge tube, discard sediment. Record volume. Save ~0.5 mL supernatant (S1) to examine under microscope to determine composition, illustrate and label as in step 2. Here are images of recently purchased joint models. 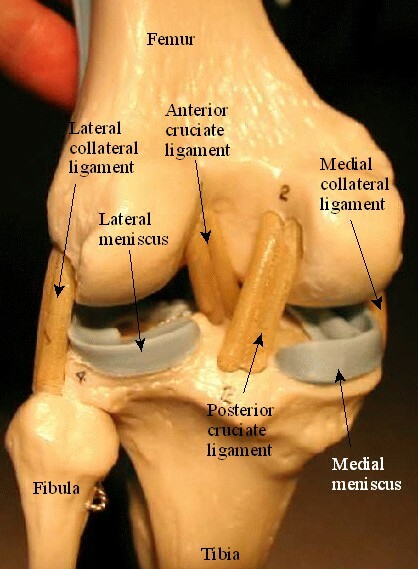 synovial capsule A collagenous structure which encloses, supports and protects the joint. 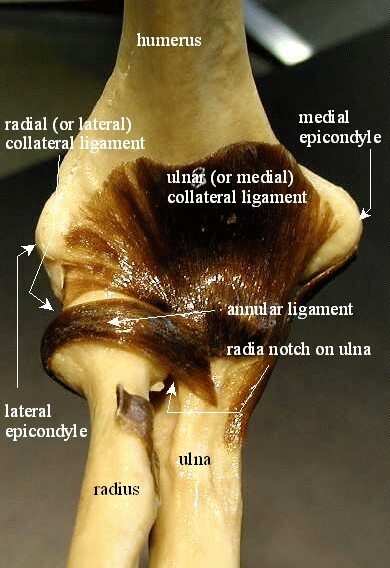 It often incorporates ligaments into its walls. synovial fluid A lubricating, nourishing fluid rich in mucopolysaccharide. Contained within the capsule. 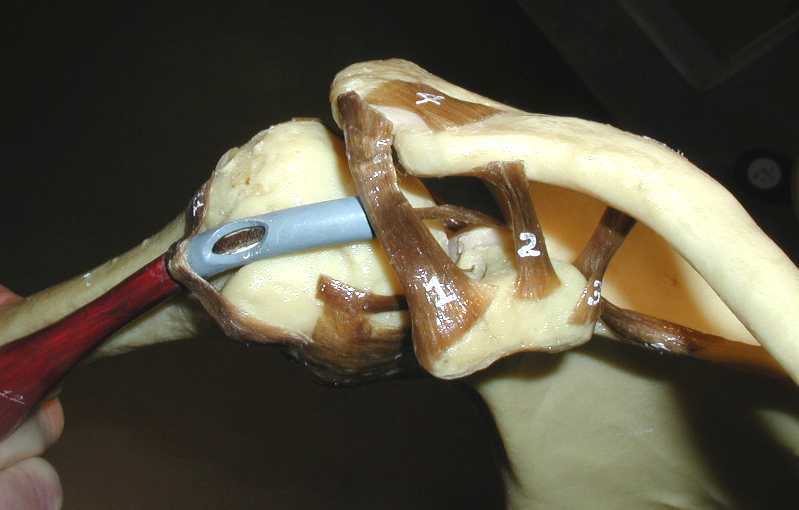 KNEE JOINT: (lateral view) (Martini’s 6th, pp 281). 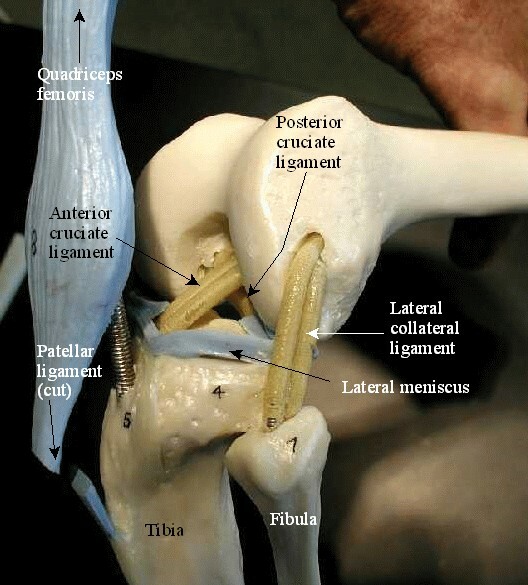 posterior cruciate ligament prevents femur from sliding forward on the tibial surface, especially during flexion of the leg. 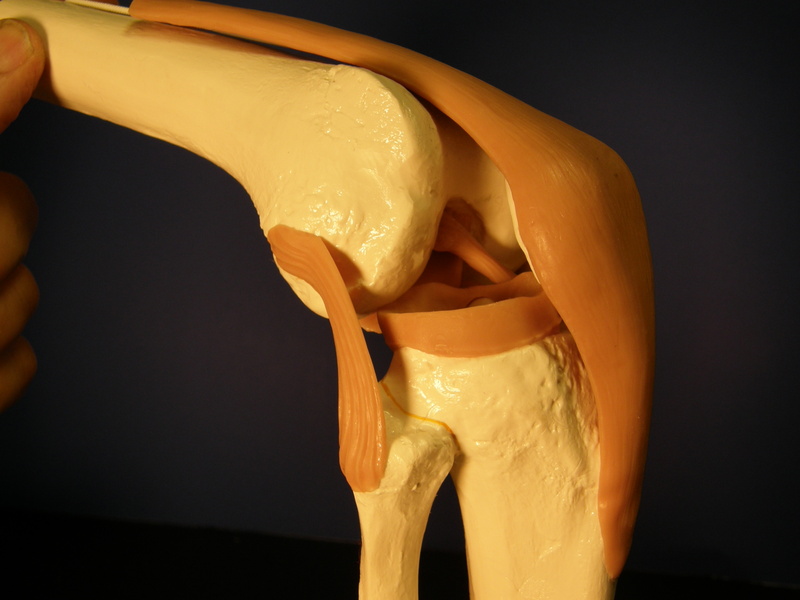 Another model of the flexed knee. 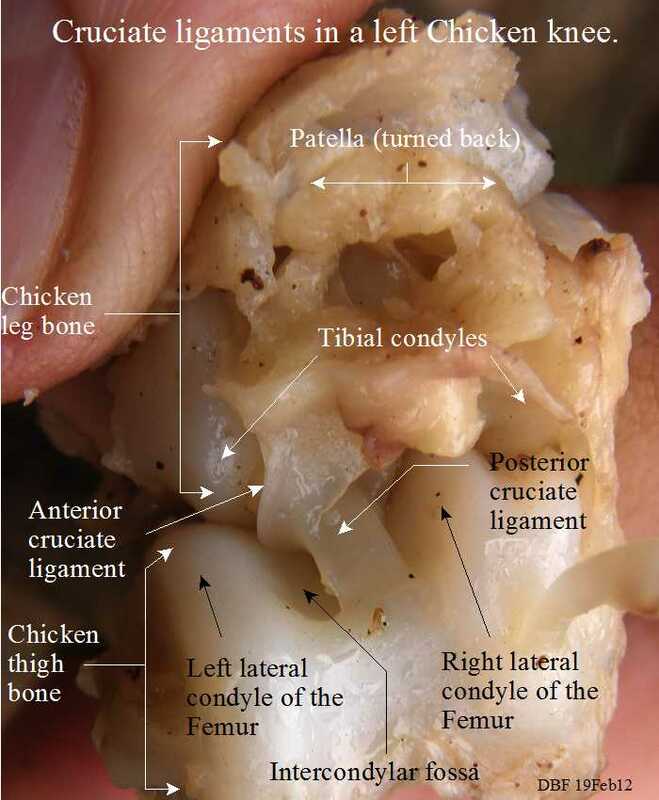 Here are the cruciate ligaments of a chicken knee joint, labeled. 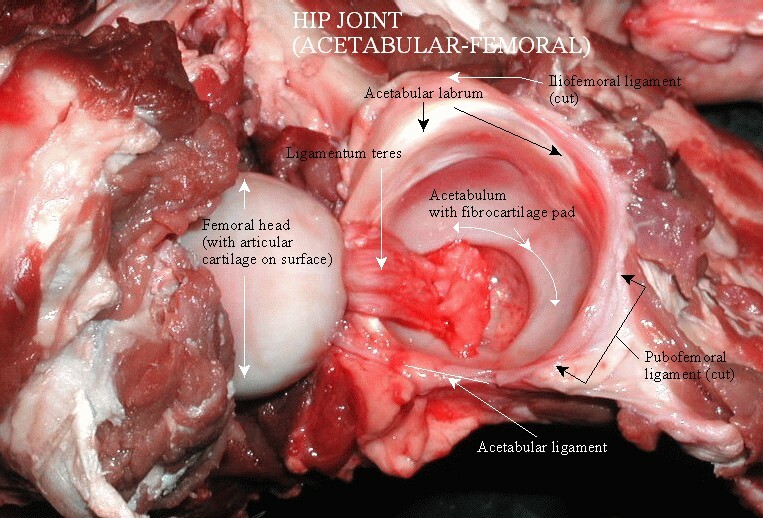 HIP JOINT: Illustrate two views of the hip, anterior and posterior. 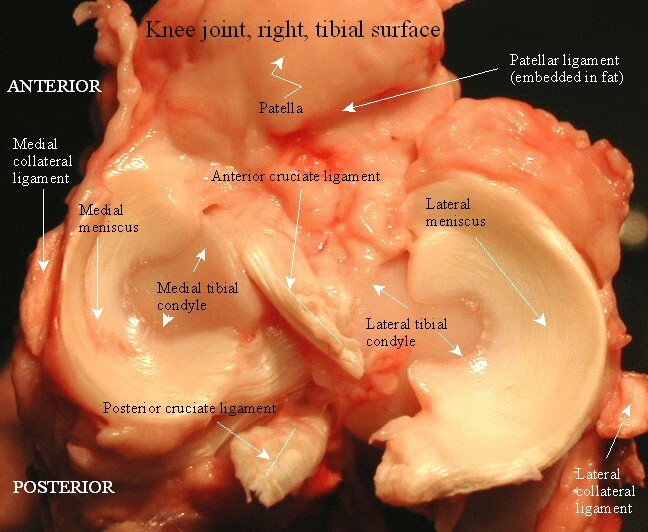 Here is the dissected hip joint labeled. 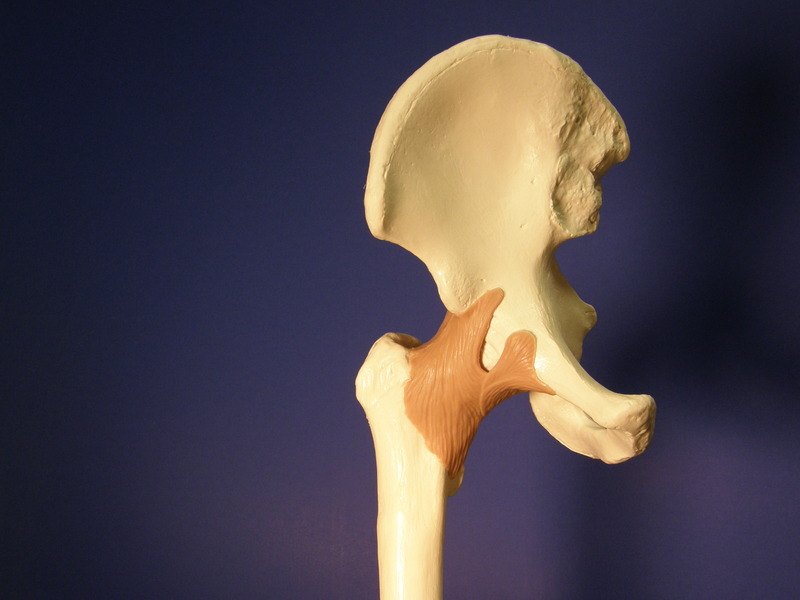 Another model of the anterior hip. 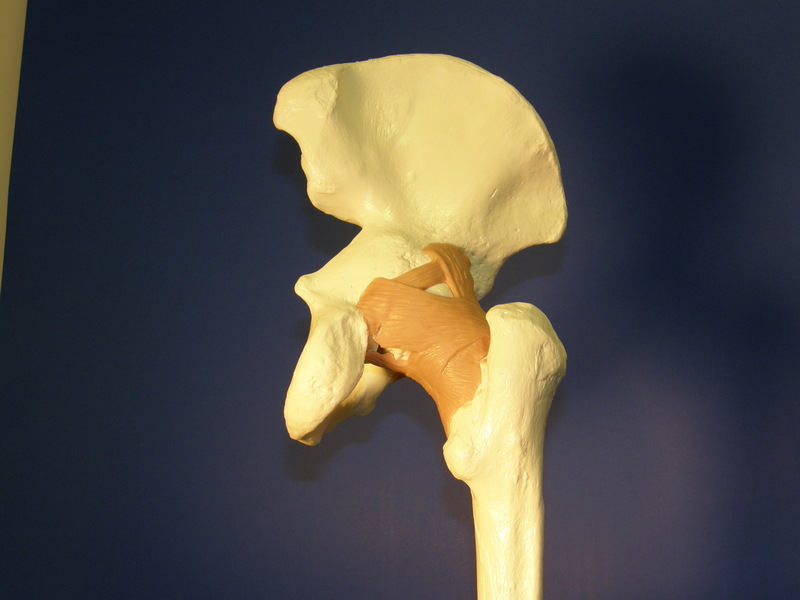 Another model of the posterior hip. From DBF’s Hopkins Notebooks, III, p. 102 & VI, p. 75. 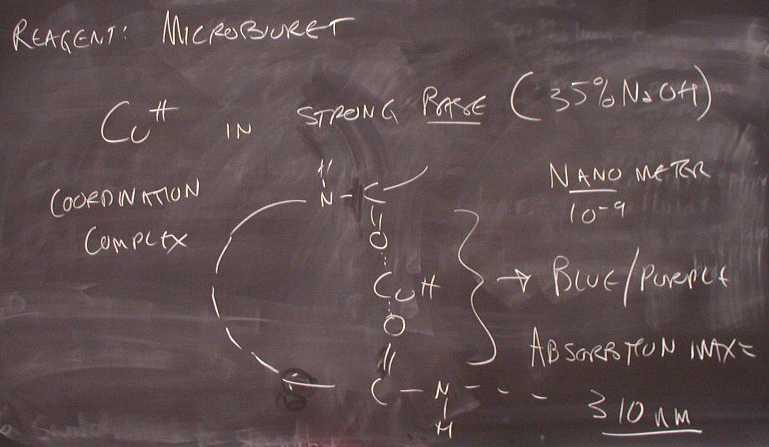 Microbiuret reagent is an alkaline solution of copper ions which complex with the peptide bonds in protein to produce a blue-purple color (absorption max = 310 nm) . Following Beer’s Law, the color intensity of a small amount of protein mixed with this reagent should be proportional to protein concentration. Thus, this reagent can be used to assay soluble protein in unknown solutions. To do this, a “standard curve ” must be generated by assaying known amounts of protein . That is the purpose of this first exercise in this series. Wear safety goggles and handle the microbiuret reagent with care since it is a dangerous caustic solution of 35% NaOH (lye). Any hint of slipperiness on your fingers should be rinsed off with a solution of 5% boric acid (in squirt bottles) followed by thorough hand washing. b) add the appropriate volume of protein. c) add microbiuret reagent using a repeating pipetter. 5) Read tubes: use tube B as the blank, and read A325 in a spectrophotometer. Read at 310 nm if you have a UV capabilities. 6) Calculate the mg protein (or in each tube. (1 g = 10 3 mg = 10 6 ug). 7) Plot standardization curve (protein vs A 325) . Here is a typical standardization curve. 8) Determine conversion factor to convert from optical density at A 325 (OD) to mg protein: Determine the slope of the line where the curve is linear. The slope will be approximately 1.25 mg/OD unit at A 325 ). Wash work areas well when finished to clean up any spilled caustic materials. 1 Our Spectronic 20s cannot measure in the UV range, but only measure absorbency down to 325 nm. 2) Add solution B slowly to solution A with stirring. 3 STANDARD PROTEIN, mg/mL: Prepare 1 mg/mL solution of standard protein (bovine serum albumin [BSA], or egg albumin) by adding 100.0 mg of powder to 80 mL dH2 O, thoroughly dissolve with stirring, avoiding foaming which denatures protein. If possible, let sit at 4C for a week to completely dissolve. Q.s. to 100.0 mL. Store at 4C. (Need ~7 mL/student).